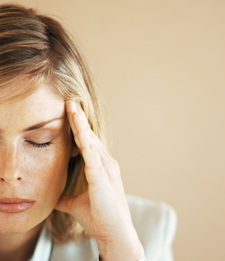 Headaches are common, but they’re not normal and are definitely not fun. Far too many people needlessly suffer with headaches for years and they try to cover them up with drugs that may cause other problems. The good news…we have had great success with helping hundreds of headache, sinus and migraine sufferers. A common cause of headaches is from spinal bones in the neck that aren’t supporting the head properly. You might not notice your reduced ability to turn your head. But these subluxations affect nerves, muscles, sinuses and even the blood supply to your head. A thorough consultation and history often reveal important clues used to help solve persistent headaches. Our holistic approach includes a review of lifestyle, diet, sinus acupressure, corrective exercise and many other factors. Dr. Logullo uses a combination of the most advanced and scientific treatment strategies available in the country. With the information obtained in your history and exam we design the best course of treatment for your specific case.